By the end of 1914, Charlie Chaplin had become the most popular actor in films, and reporters were clamoring for interviews with the comedy sensation. But no reporter had more access than Fred Goodwins. A British actor who joined Chaplin’s stock company in early 1915, Goodwins began writing short accounts of life at the studio and submitted them to publications. In February 1916 the British magazine Red Letter published the first of what became a series of more than thirty-five of Goodwins’s articles. Written in breezy prose, the articles cover a two-year period during which Chaplin’s popularity and creativity reached new heights. Only one copy of the complete series is known to exist, and its recent rediscovery marks a significant find for Chaplin fans. Charlie Chaplin’s Red Letter Days: At Work with the Comic Genius is a vivid account of the ebb and flow of life at the Chaplin studio. Goodwins was an astute observer who deepens our understanding of Chaplin’s artistry and sheds new light on his personality. He also provides charming and revealing portraits of Chaplin’s unsung collaborators, such as his beloved costar Edna Purviance, his burly nemesis Eric Campbell, and other familiar faces that populate his films. Goodwins depicts Chaplin in the white heat of artistic creation, an indefatigable imp entertaining and inspiring the company on the set. He also describes gloomy, agonizing periods when Chaplin was paralyzed with indecision or exhaustion, or simply frustrated that it was raining and they couldn’t shoot. Reproduced here for the first time, the articles have been edited by film historian David James and annotated by Chaplin expert Dan Kamin to highlight their revelations. 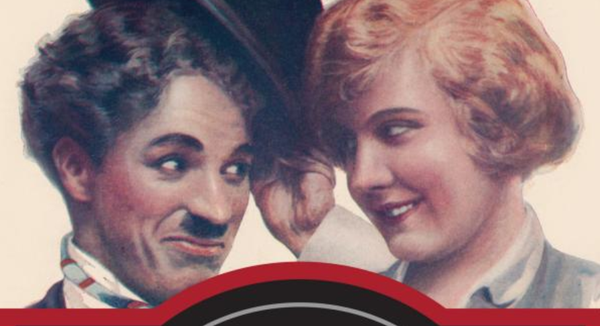 Illustrated with a selection of rare images that reflect the Chaplin craze, including posters, sheet music, and magazine covers, Charlie Chaplin’s Red Letter Days provides a fascinating excursion into the private world of the iconic superstar whose films move and delight audiences to this day. It will appeal to movie fans, comedy buffs, and anyone who wants to know what really went on behind the scenes with Chaplin and his crew. the historical memory of Clowns from all over the World.